Find Parker, CO Condos for sale. View Photos, Maps and MLS Data Now! Large dining is perfect for growing family. MLS#6550830. MB TEAM LASSEN. Anthology - Down the hall, 2 more good-sized bedrooms and an additional full bathroom! MLS#1837008. Colorado HomeFinder LLC. Cottonwood South - A quick 10-minute drive to Lincoln Light-rail Station and under 15 mins to Park Meadows and easy access to highways, come let your buyers fall in love with their future home. MLS#4783557. Realty One Group Premier. This unit sits right in the middle of the park area. MLS#4928994. RE/MAX Masters Millennium. Cottonwood South - Master features plenty of space and a walk-in closet and captures the light of the corner position in the upper part of the unit. MLS#6817201. RE/MAX Professionals. Hunters Chase - *Awesome penthouse 2 bedroom, 2 bathroom in quiet neighborhood*Very light and bright unit*All appliances stay, including washer and dryer*Living room features a gas fireplace, vaulted ceilings, and balcony*Master bedroom offers a private balcony, 5 piece master bathroom with soaking tub*The carpet is only 6 months old and has a 20 year warranty*Literally walk outside to parks, several trails, and a creek*Lots of parking which is rare for a condo complex* MLS#6652246. Keller Williams Advantage Realty LLC. Meridian - The basement is waiting for your personal finishes, how will you utilize the 650 sq.ft., design to your hearts content. MLS#4997496. PERRY & CO.
Two awnings for outdoor patio. Clean, move-in ready! MLS#3159796. Mainstreet Properties Group LLC. Cottonwood South - This one will be a pleasure to show to your pickiest buyers. MLS#8494394. MB COLORADO RTY LLC. Town And Country Village - These townhomes rarely become available, don't let this one slip into someone else's hands. MLS#5536395. Key Real Estate Group LLC. Stonegate Knolls - Easy access to E470, DIA, DTC, shopping, transportation and all of the amenities in Parker! MLS#4387375. RE/MAX Professionals. Stonegate Knolls - Close to shopping, schools, parks, I-25, C-470, Denver tech center, & light rail. MLS#8668434. Berkshire Hathaway HomeServices Innovative RE. Stonegate Knolls - This community has a pool and is centrally located near shopping, E-470, Parks, Cherry Creek Trails and Restaurants! MLS#9286264. PINETTE REALTY GROUP LLC. Great choice for anyone who likes to use their weekends for recreation instead of chores! MUST SEE! MLS#6100654. HQ Homes. Stroh Ranch - Located in Douglas county schools; close to dining, shopping & entertainment. MLS#4590089. HomeSmart Realty Group. Olde Town Parker - Act quickly as this unit is priced to sell. MLS#8303457. EXIT Realty Denver Tech Center. 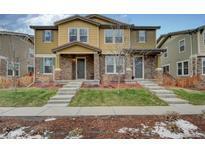 Easy access to Cherry Creek trail, playgrounds, volleyball court, schools, shopping and E-470. MLS#8422838. Coldwell Banker Residential 44. Prairie Walk On Cherry Creek - Amazing mountains views! Don’t miss this opportunity. MLS#8734997. LIV Sotheby's International Realty. Victorian Village - Buyer to verify hoa and sq ft. MLS#6539863. REVOLUTIONARY REALTY LLC. Prairie Walk On Cherry Creek - Minutes from down town Parker, DTC corridor, shopping, restaurants and amenities. Easy access to E-470. MLS#2939664. BROMLEY REALTY INC.
Ironstone - Compact but very well organized plus an additional storage room next to the front door, this property is ready for you to call home! MLS#9165651. EXIT Realty Denver Tech Center. Cottonwood South - Close to shopping center and to Costco. MLS#4438803. Workman & Associates. Come by and see this wonderful townhome! MLS#3527283. HomeSmart Cherry Creek Properties. Ironstone - Located in the Douglas County Schools and close to dining, shopping and entertainment! MLS#4026582. USRealty.com, LLP. Stonegate Knolls - HOA includes 3 community pools, tennis courts, neighborhood parks and much more! Showings start 4/15/19. MLS#6784417. COLDWELL BANKER RESIDENTIAL 24. These statistics are updated daily from the RE colorado. For further analysis or to obtain statistics not shown below please call Highgarden Real Estate at 720-606-6923 and speak with one of our real estate consultants.